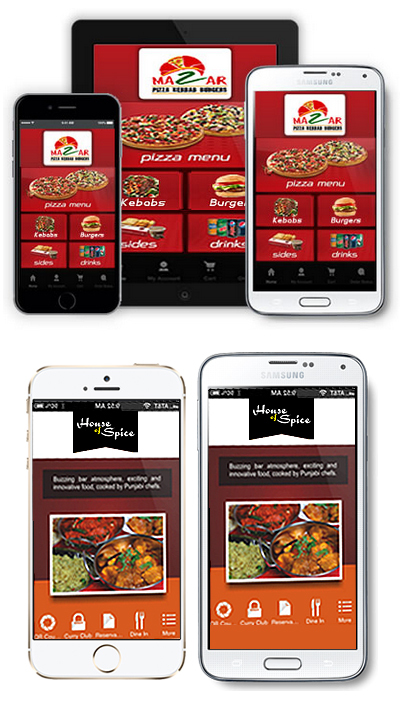 The World Has Gone Mobile... Now, Your Customer Can Carry Your Business Around With Them! The sheer volume of worldwide mobile users, combined with the increasing accessibility and affordability of mobile technology, has transformed the manner in which potential customers are accessing the web, and browsing products, services, and information. Mobile phone apps are one of the most effective ways for businesses to bring their brand to millions of daily smartphones users. Regardless of the size of your business, you should consider the development of a company app, in order to stay ahead of your competition and engage with your increasingly mobile audience. At SocialMedia24, we are keen to help you and your business reach as many of your customers as possible. Mobile apps are the perfect way to do this. There isn't much that isn't possible with a mobile app these days. Our experienced mobile application development team work with leading platforms and the latest technology, in order to develop creative cutting-edge apps that help you to accomplish your business goals – be that brand awareness, or direct sales. All our mobile applications come with Easy to use Admin Panel (control panel) to ensure that you can manage them easily, even with little or no previous knowledge. You can make edits, changes, send notifications, and more. We offer a personal and dynamic mobile app development service for all of our clients, and always take into account your requirements and business needs, to develop a perfectly functional app that boost your business and engagers your customers. SocialMedia24 will open up your business to the massive world of mobile app marketing. Contact us today for more information, or to get a free quotation.